Customer Picture Number 488 Selected. Cool Car decals applied. Mark's insanely clean chopper with custom charcoal metallic vinyl flame decals grazing the tank. 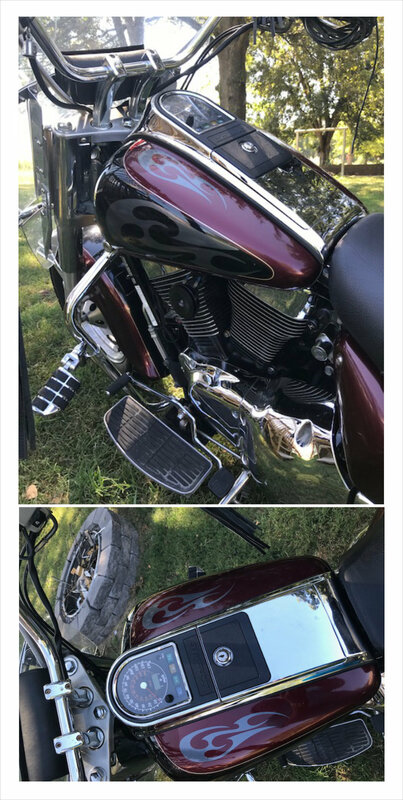 Very clean bike, Mark!